In the vicinity of three national parks and cities like Zadar and Šibenik, Biograd na Moru is the ideal destination for all of you who want to see as many in as little time as possible while on your vacation in Croatia. Biograd has it all – from beautiful pebble beaches to its rich historical and cultural heritage. You won't be dissapointed by this charming seaside town which was once occupied by kings of Croatia. 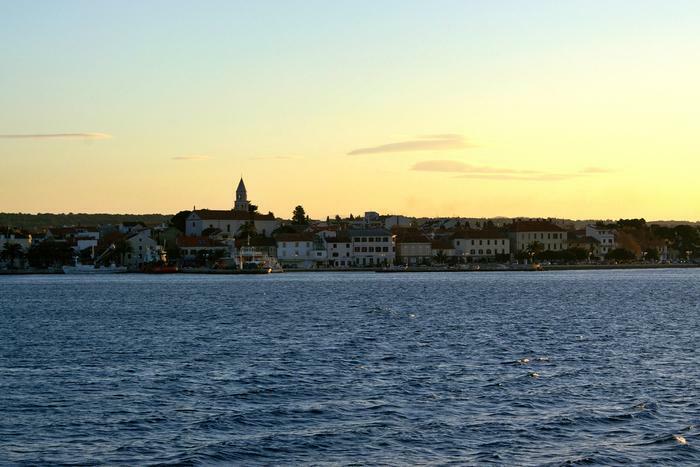 Continue reading and find out why you should visit Biograd na Moru. Book an accommodation in Biograd na Moru. Welcome to the largest lake in Croatia. Vransko lake streches over 30 km2. The lake itself is part of Nature park Vransko lake of 57km2. The nature park is also a bird reservate that is home to 11 endangered bird species that nest in this area. This bird reservate is also special and important for its extreme diversity of its orinthofauna. Rent a geep and explore the lake and its surroundings with guidance from a professional guide. Also, Vransko lake is surrounded by a 40 kilometer long bicycle trail so make sure you explore the beauty and diversity of Vransko lake by bike. Still, maybe the best experience is the view from the Kamenjak viewpoint that is located in the middle of the lake. The view from Kamenjak encompasses the whole lake, the Kornati islands and the neighbouring islands. There's also a caffe on the viewpoint where you can rest, have a cup of coffee and continue to enjoy the magnificent view ahead of you. The entrance fee is 20 kuna (around 2 euros). Although not as known as some other Croatian beaches, Biograd na Moru has a lot of reason to be proud of its own beaches. These pebble beaches are packed with activities and content that attract young tourists and families with children. We recommend the 100 meter long beach Crvena luka that's located in the eponymous tourist complex. It's actually a cove surrounded by pinewood, just a couple of miles away from Biograd's centre. In the northwest part of the city you can find the pebble beach Bošana with an easy to reach sea entrance and lots of content like kayaks, boat pedaling etc. Unfortunately, Bošana doesn't have natural shade so make sure you bring your sunscreen with you or you can rent a parasol on the beach. Families with children are fans of beach Dražica. It's located not far from the hotel complexes and you can get there by the Dražica promenade in Biograd's centre. Dražice beach has a diving centre, restaurants, changing rooms and showers. Ideal for a whole day stay! Also, back in 2006. it was awarded the prestigious Blue flag. History buffs should visit the city museum located in Biograd's centre. The building itself was built on the ruins of medieval fortresses at the end of 18th century, and before it was renovated into a museum it was a court in the Austro-hungarian empire. This museum contains rich and diverse collections of exibits. From the archeological collection that shows to its visitors what life looked like on this area in antiquity, the ethnographical collection and the most interesting one consisting of more than 10 000 different objects found when a group of fishermen from Murter island accidentaly discovered a shipwreck of a 16th century Venetian boat back in 1967. Other than being near the majestic Vransko lake, Biograd na Moru is close to larger cities like Zadar and Šibenik. These towns will thrill you with their rich history and interesting content and activities to do. Make sure you don't miss the world famous Sea organs and the Salute to the Sun on Zadar riva; the sandy beach Kraljičina plaža (eng. Queen's beach) in Nin that is over 3 kilometers long or the impressive st. Jacob cathedral in Šibenik with its 71 sculptures of heads of prominent citizens of renaissance Šibenik. Also, make a trip across the sea where you'll find islands like Pašman, Dugi Otok and Vrgada which are popular with all of those in love with the sea and beaches. And last but not least, set aside some time for day trips to National park Krka with its seven magnificent waterfalls; mountaineers should definitely visit National park Paklenica rich with lots o f climbing sites and the Kornati National park that consists of over 70 islands, popular with nautics.